Design grade 3D modelling/BIM solution for mechanical, electrical and plumbing engineers and provides an integrated design, analysis and documentation tool. Design grade 3D modelling/BIM information with better workshop detailing feature. BIM viewer allowing many different software applications used to produce various elements of the building to be viewed in one environment with easy information extraction. Clash detection set at different tolerances, AVI and JPEG output to demonstrate presentation, services coordination and red-line review. 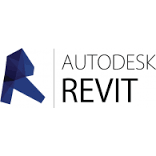 This has been created to enable a more fluid workflow between the Revit design and fabrication processes by standardising content for the Australian MEP industry. KSG has been assisting the development of the templates and workflows since the early days and continues to support its development and use across our projects.